Daphnia are truly amazing. They are often called ‘water fleas’ as they look like tiny fleas swimming around in lakes and ponds. However, they are harmless and fascinating to observe. You can easily find some at home – just scoop a bit of water out of your pond with a pot and hopefully there’ll be plenty of these complex organisms bobbing about! Believe it or not, Daphnia are actually tiny crustaceans, related to crabs, lobsters and woodlice. The reason they don’t look very similar is that the shell of Daphnia is uncalcified (not hard). 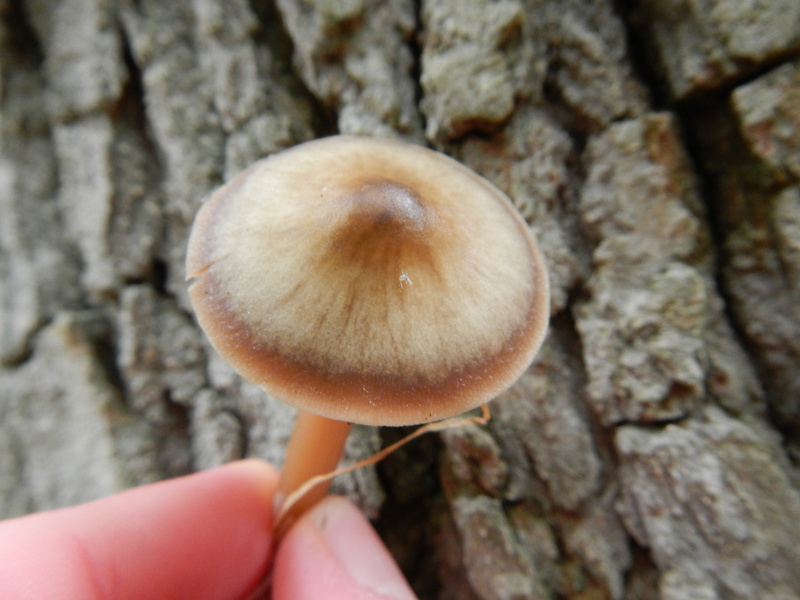 This means they’re see through, and so great to put under a microscope. Yesterday and today I collected a few Daphnia from the pond with my pipette (like a small turkey baster), put a drop of water containing the Daphnia on a microscope slide and placed a cover slip gently on top so that the Daphnia wouldn’t be squashed. Looking at them under a microscope reveals a whole new view on their lives, which we could never see with the naked eye. This photo I took yesterday and I find it most intriguing, Daphnia obtusa giving birth! 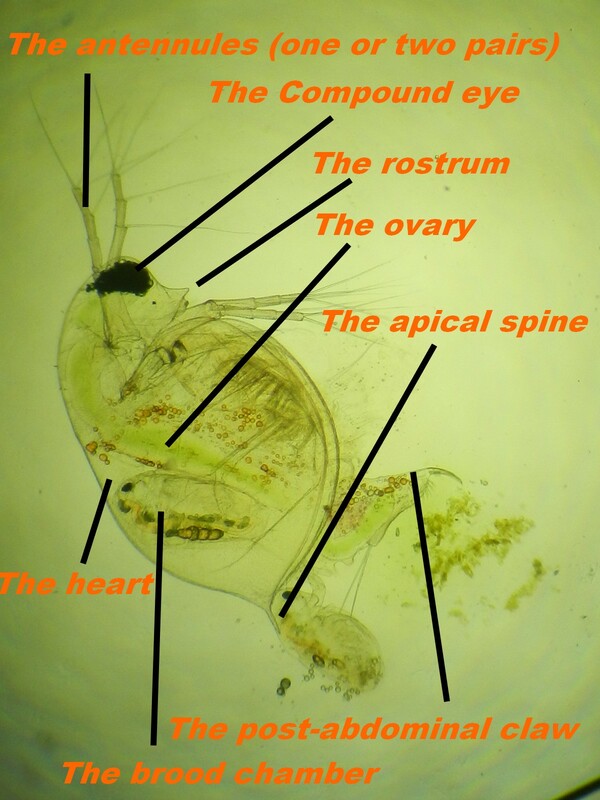 In the photo you can make out a smaller version of the adult Daphnia just below it’s rear end, at the bottom. Look for the black eye. 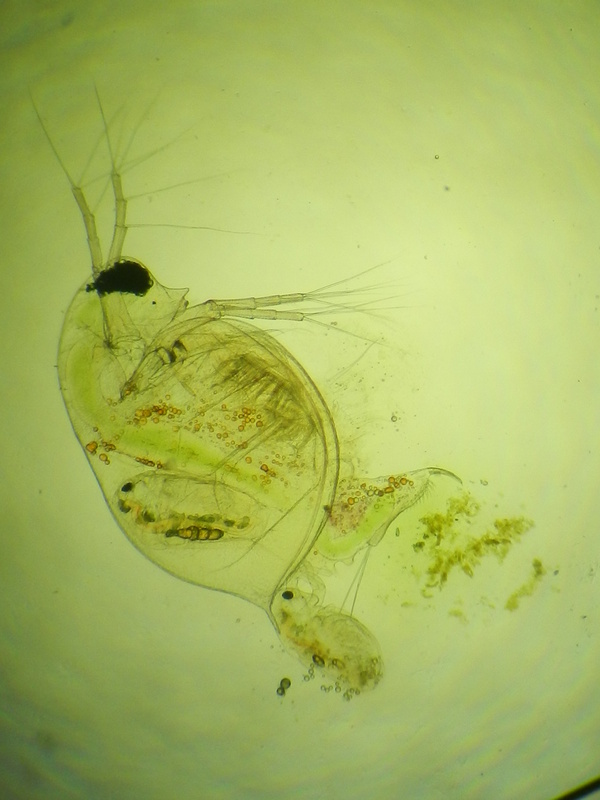 To add to that, as the Daphnia is see through, you can also see its twin still inside the adult! The antennules – These are antennae, but instead of being sensory organs, they have evolved to be used to propel the Daphnia through the water. The ‘proper’ antennae are found beneath the rostrum, and are tiny. The mound on which the ‘proper’ antennae are born, sensibly called the antennal mound, is an important identification feature of Daphnia obtusa and is just visible in the image above. Daphnia obtusa has a noticeably larger antennal mound than similar species like Daphnia pulex.